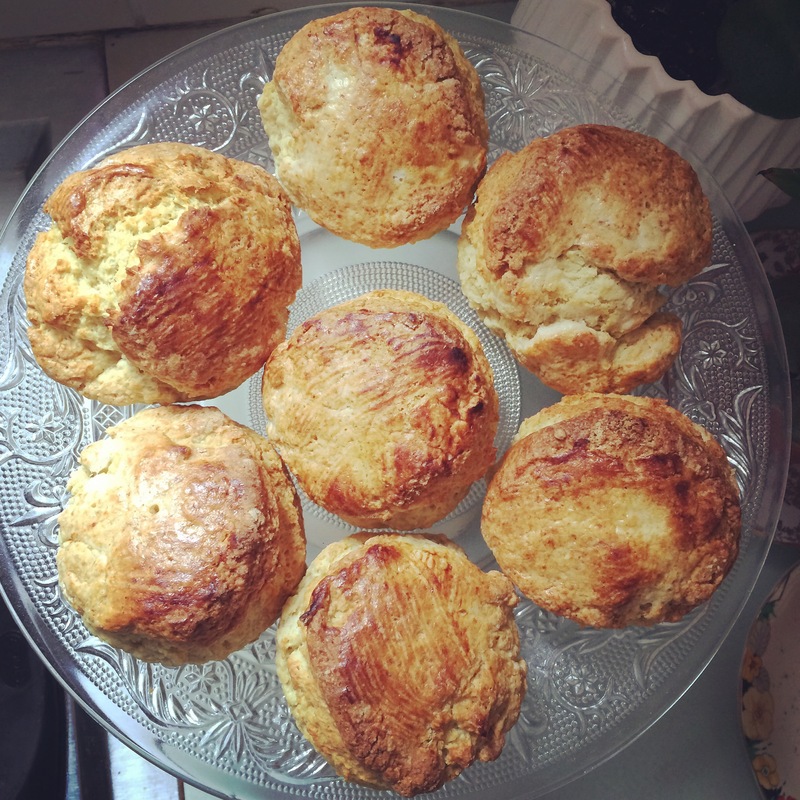 A wonderful recipe that creates light and fluffy scones.. I have to confess I have had some bad scone baking incidents!! In the past they have come out of the oven as flat as a pancake or as hard as bullets! This particular recipe worked for me.. I was thrilled as I love scones .. Especially a cream tea with Devonshire clotted cream and some homemade jam .. You just can’t beat the combination and obviously the cream goes first!! I am devon born and bred after all! Preheat the oven to 220 degrees C or gas mark 6. Grease and flour a baking sheet. Sift together the flour, salt and bicarbonate of soda. Rub in the butter until it resembles breadcrumbs. Stir in the sugar . Add the buttermilk and the beaten egg and combine together. Knead the dough gently to combine the ingredients. Be careful not to overwork the dough. Using a floured rolling pin roll out the dough on a floured surface . About 2cm thick is a good depth. 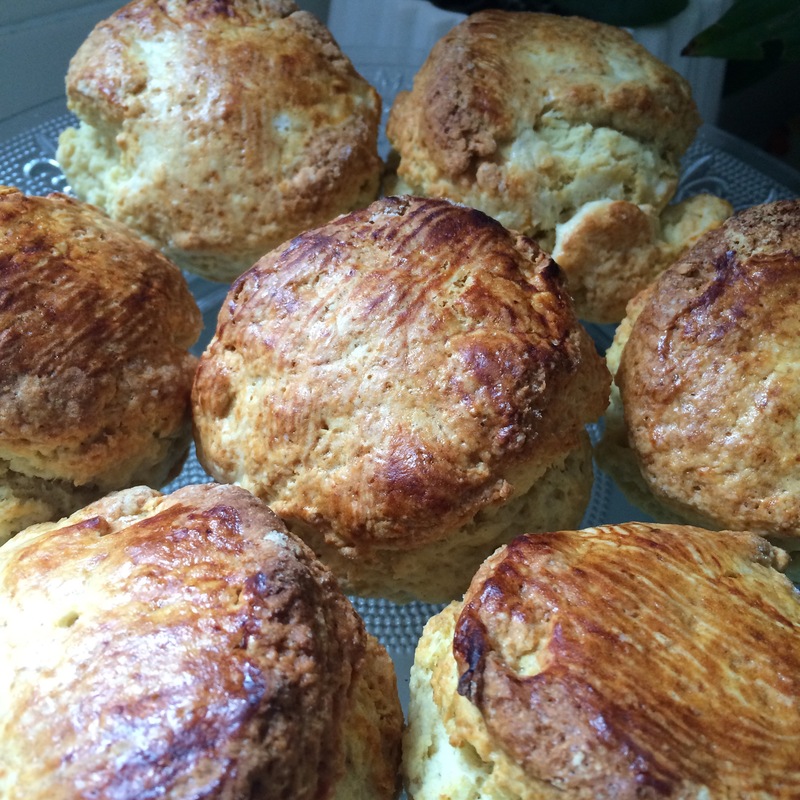 Use a cutter to cut out as many scones as you can. Re-roll the dough as necessary. I managed 8 from this recipe. Transfer to your baking sheet and brush with a little buttermilk to create a glaze. Bake for somewhere between 10-15 minutes. I set my alarm and checked after 10 minutes but they needed a few minutes more. They should be golden brown. Remember.. The cream goes first and then the jam!! The Devon way is best! !